Pitchers and catchers report February 16! First workout is Feb. 17. Position players report Feb. 21. First full workout is Feb. 22. I release a sigh of recognition. It’s almost that time, again. But this time, Mark Gremse isn’t here to celebrate with. Last year this time, he was hopeful that LaTroy Hawkins would be able to help out the Giants, where he’d landed after a rough time with the Cubs. I bit my lip, didn’t say a word, just smiled and nodded, with my almost invisible eyebrows sneaking into a mild grimace. Cheers. And thanks for the memories. 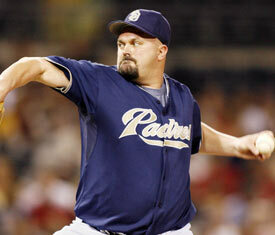 Most importantly, how many days to pitchers and catchers?